Armed acts were not the only form of resistance during the Holocaust. The Third Reich’s attempt to eradicate Jews began by disrupting Jewish daily life while also enacting a wide range of dehumanizing initiatives. This process was not only part of the Nazis’ effort to murder the Jewish population but also eradicate their culture. Jews, however, consistently pushed back against these limitations and the ever-increasing list of prohibitions facing them. In ghettoes, Jewish prisoners resisted by working to maintain traditions and culture in whatever way they could. The Terezin ghetto is well known for the efforts of its prisoners to continue producing music even under the harsh conditions of confinement. It was not alone, however, as Jews in other ghettoes produced concerts, lectures, and theatrical productions when they could. Jews also established underground schools for their children in order to maintain and pass on culture and knowledge. They smuggled books and journals into ghettoes, creating libraries and archives. In some cases, these archives were designed to document daily life in the ghetto, the most famous being Oneg Shabbat (“Joy of the Sabbath”) established by Emanuel Ringelblum inside the Warsaw Ghetto. This latter form of resistance dovetailed with the effort to save religious objects. Torah scrolls, for instance, were often hidden or smuggled out of occupied towns in order to prevent the Nazis from destroying them. This attempt to thwart the destruction of Jewish religious culture resulted in the preservation of hundreds of pre-Holocaust Torah. 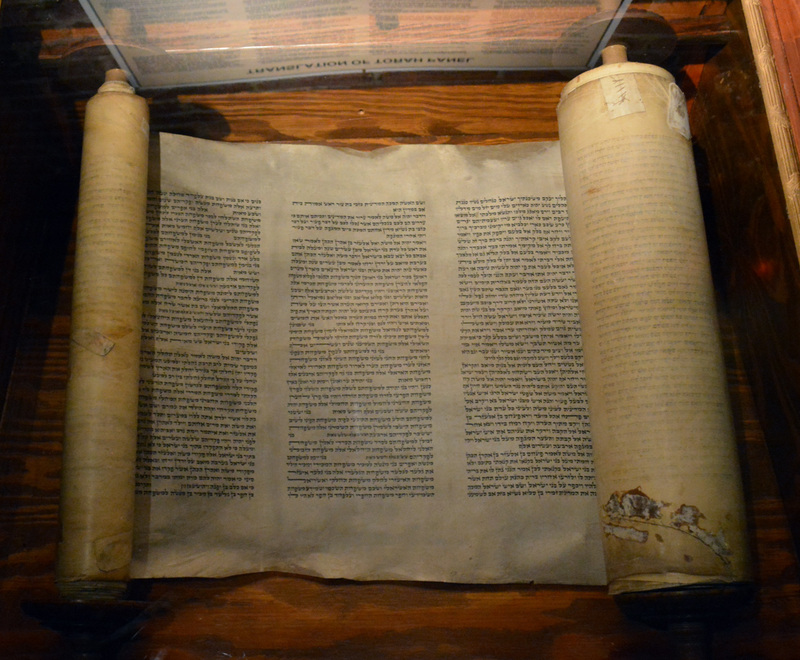 The Virginia Holocaust Museum possesses two of these Torah, one from Lithuania and another from Czechoslovakia. The survival of these scrolls represents one of the many unarmed ways Jews resisted during the Holocaust.